Hersheypark breaks ground on new expansion site. Hersheypark broke ground yesterday on the large new expansion that will be constructed through 2020, when a brand new Hyper coaster built by Bolliger and Mabillard will open. The ceremonial ground breaking took place at the current entrance of the park. 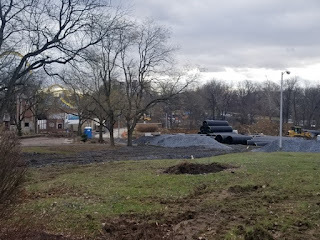 A rendering POV of the new coaster can be seen below, which has not been announced at the moment, but is based on to-scale renderings and site plans from Hersheypark. The name of the new ride is currently unknown. 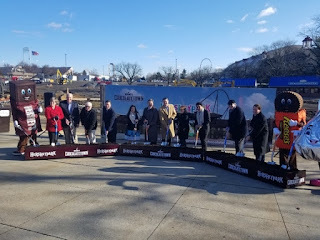 Hershey's Chocolatetown, the new entrance-way to the park for 2020, will be home to the largest themed restaurant in Hershey, offering views of the park, craft drinks, and new food options. The park president hopes the restaurant will bring more people to the park during January-March. The contemporary-style entrance will replace the Bavarian buildings that currently occupy the area. The Carousel will also be moved to its new home at the epicenter of the new expansion. 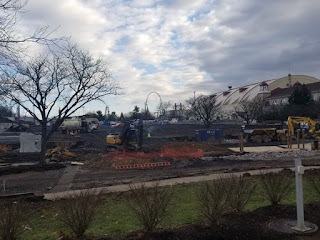 Other notable features of the plaza are the 'Kissing Fountain,' kettle corn and ice cream parlor, and of course the new, tallest, fastest, coaster at Hersheypark. 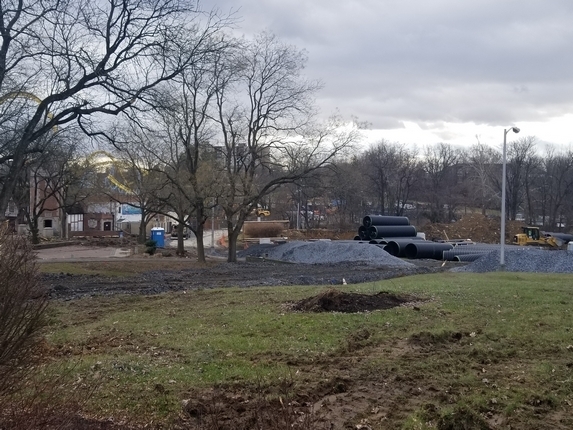 All the details about the new area can be found here.